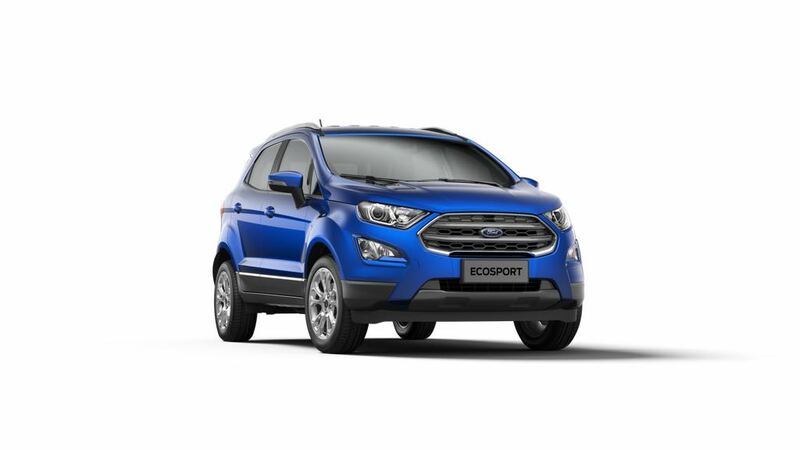 Today, Ford India has introducing us with their expanded line – up of its most awarded compact SUV utility vehicle the Ford EcoSport, a new top of the line Titanium + petrol variant. The vehicle is priced at 10.47 lakh (ex – showroom across India), the all new Titanium+ will comes equipped with Ford’s latest three cylinder 1.5L Ti – VCT petrol engine and five speed manual transmission. This time Ford is giving all new features like a bigger 17 inch alloy wheel for the betterment of driving capabilities, road grip and for ensuring all around safety in the vehicle there are six airbags fitted for the occupants. The all new naturally aspirated petrol engine is powered by three cylinders and which gives an output of 123PS and 150Nm of torque which delivers Ford’s Fun-to-drive DNA itself, With an outstanding fuel efficiency of 17 Km/L. For the diesel variant, the Ford Eco sport is coming with reliable and trusted 1.5L TDCi diesel engine that gives an output of 100PS and efficiency of 23 Km/L.